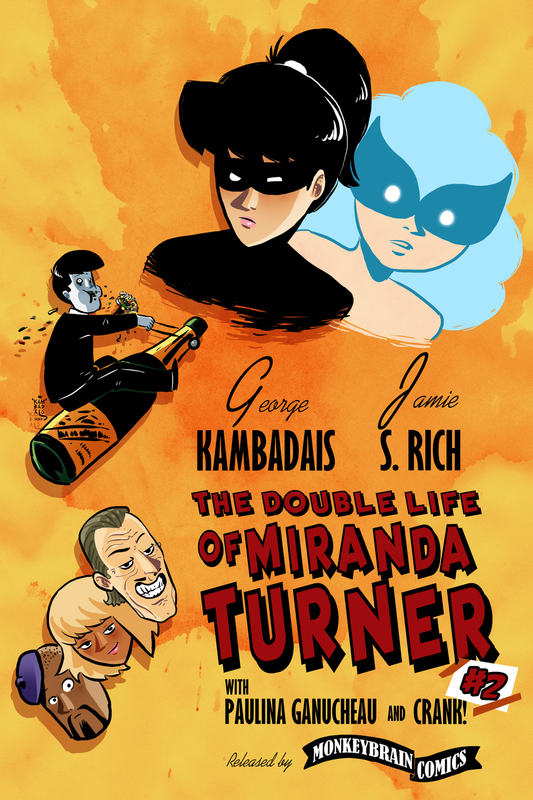 The Double Life of Miranda Turner #2 is available for download from Comixology right now. 14 pages of comics, full color, $0.99! Miranda has taken a break from hunting for her sister's killer to star in a Broadway play. Not that it means she'll be staying out of trouble. Strange things are happening in the middle of rehearsals. Miranda's cast mates start exhibiting extreme behavior, and most of them look like they are going to end up in jail--or worse--before opening night. That is, unless the Cat and her spectral companion can figure out just what the heck is going on. Preview the first four pages over at Comic Buzz. Also, welcome our new colorist, Paulina Ganuchea, a talented artist in her own right. Tags double life of miranda turner, George Kambadais, v, cp, comixology, comic books, monkeybrain, paulina ganucheau, Crank!